Virginia Tech featured Dr. S.K. 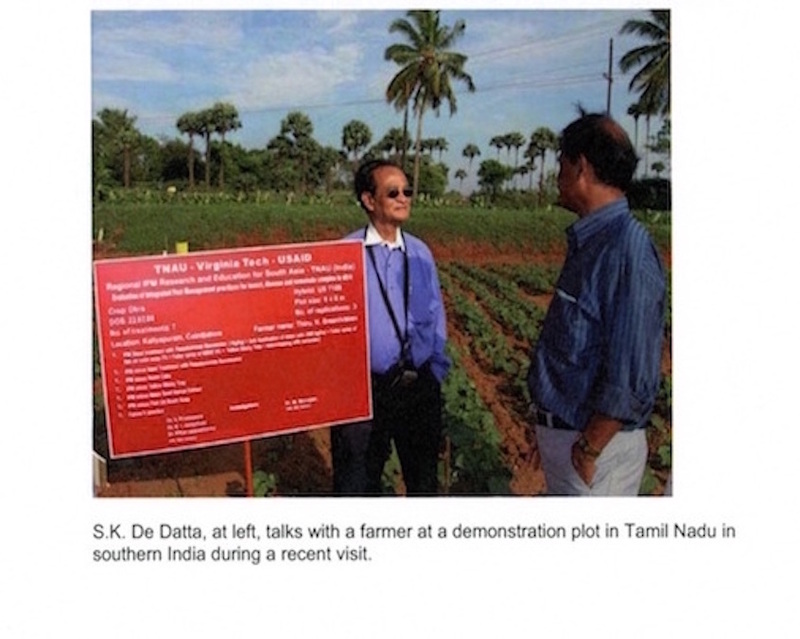 De Datta, Associate Vice President for International Affairs at Virginia Tech for his contribution to Green Revolution in Rice and increasing Food Security and hunger reduction. Photograph shows S.K. in a field site of IPM CRSP.